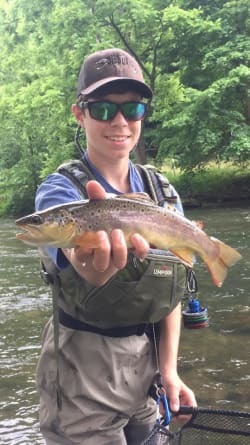 In 2013, NC Fish & Wildlife designated Sylva, Dillsboro and Webster as Mountain Heritage Trout Waters.The program encourages trout fishing as a heritage tourism activity and allows anglers to fish the waters by purchasing a three-day license for just $5. Jackson County has the longest contiguous stretch of designated waters in the state, making up 25% of the North Carolina's Mountain Heritage Trout Waters. The Jackson County Chamber of Commerce has complimentary detailed maps for each of three towns. Feel free to stop by the Chamber of Commerce, located at 773 West Main Street, for free Mountain Heritage Trout Water maps. To obtain a Mountain Heritage Trout Waters license for $5, click HERE. Those who already have a valid N.C. fishing license and trout privilege license do not need to purchase the three-day license.